CHARLOTTE CELEBRATES WITH FALL FESTIVALS | South Charlotte Newcomers! Charlotte is whispering fall with hints of yellow and red in the trees, a sprinkling of crisp mornings and FALL FESTIVALS popping up throughout the Carolinas! Fall Festivals are a wonderful way to explore Charlotte’s International community! A fun Charlotte tradition for many families is to start the Fall Festival line up with the Yiasou Greek Festival! 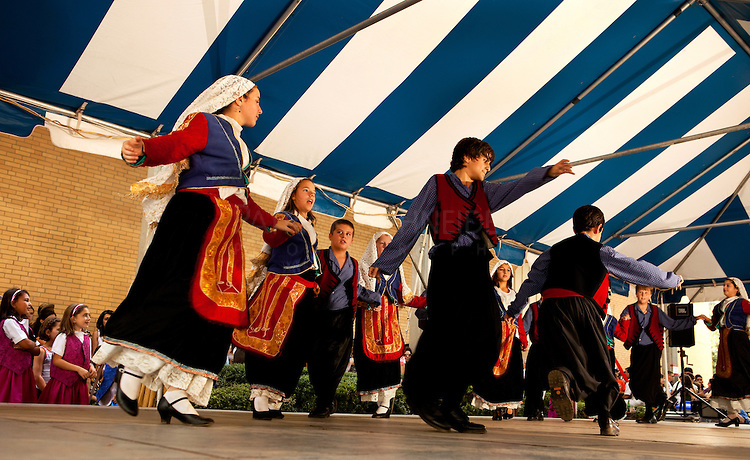 The Yiasou (Hello and Goodbye in Greek) Greek Festival has been a cultural event in Charlotte since 1978. Yummy Greek cuisine and pastries are a tantalizing must-have at the festival! Start with a delicious plate of spanakopita, and do not leave without extra baklava for friends to enjoy later! Cultural exhibits, entertainment, shopping and wine tasting will transport to Greece without the cost of a plane ticket! The Greek Festival runs September 5-September 8. The 19th Annual Festival of India will be held in Uptown Charlotte, September 14-15. The festival will have entertainment from classical Indian to modern Bollywood dance. Art, crafts and cuisine representing the various regions of India will intrigue visitors and satisfy palates! Children’s activities will be offered. Why not take home a bit of beautiful, exotic India with you by getting a henna tattoo! Charlotte’s very own UNCC will host its annual International Festival on September 28. The festival will have representation of over 50 nations! Each booth offers a wonderful adventure into foreign lands! Featuring arts, crafts, traditional dress and food from participating countries, the International Festival is an educational and fun way to explore other countries! Celebrate Charlotte’s Latin American community by attending the Latin American Festival held in Southpark’s Symphony Park on October 13th! Mexican pop stars Julieta Venegas and Uruguayan rockers No Te Va Gustar will be performing! Tickle your taste buds with Latin American cuisine and enjoy folkloric dance performances. Local artisans and live visual art performances will be offered. Charlotte celebrates its very passionate canine community of various heritages and backgrounds with a fall festival that Woofs It Up! The 5th Annual Woofstock will be held on Saturday, September 14th at Amos’ Southend. Dane of Ruff Love, and Blue Ridge Boxer Rescue both team up for this doggie lovin event! Vendors, music, food, drink and an opportunity to bring home a new family member from the adoptable dogs is a great way for the family to celebrate all things canine! The artistic community of Charlotte will once more be celebrated at Festival In The Park! Festival In The Park has been a Charlotte tradition for 49 years! The Festival will be held at beautiful Freedom Park’s scenic lake. There will be over 180 artists and crafts people at this years festival, all offering a story to go with that “couldn’t resist” beautiful piece of art! Carvers, potters, painters and sculptors offer their wares and often give demonstrations of how they created their art. Local schools have art exhibits celebrating student art. The band shell offers free entertainment, with over a thousand entertainers performing throughout the weekend! This is a great family festival with many children’s activities and food available for purchase. The Festival will be Friday, September 20- Sunday, September 21. Celebrate Queen City diversity, art and culture at one of the many family-friendly fall festivals offered in the Charlotte area!